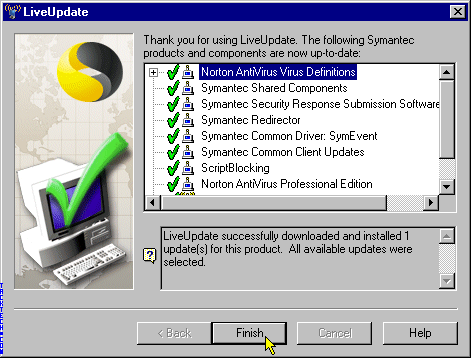 Performing a manual Symantec LiveUpdate (Anti-Virus) - TACKtech Corp. 1.) 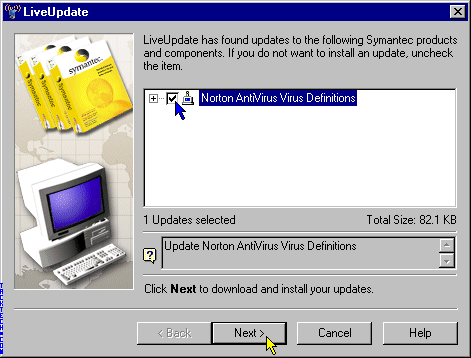 Double-Click on the Norton AntiVirus Icon in the SysTray. 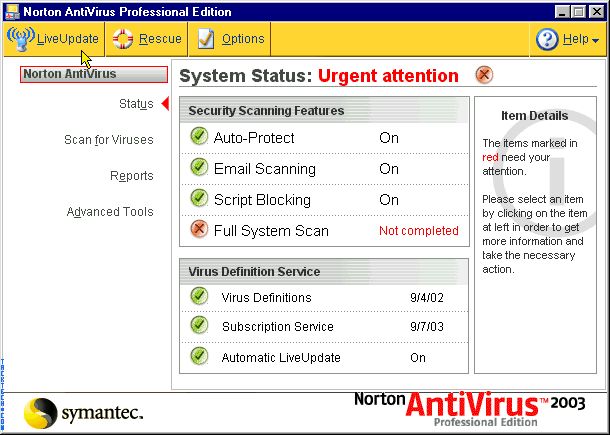 * You can also launch Norton AntiVirus from the Start Menu or from your Desktop. 2.) Click on the LiveUpdate button. 3.) Click on the Next > button. Wait for your subscription to be confirmed. 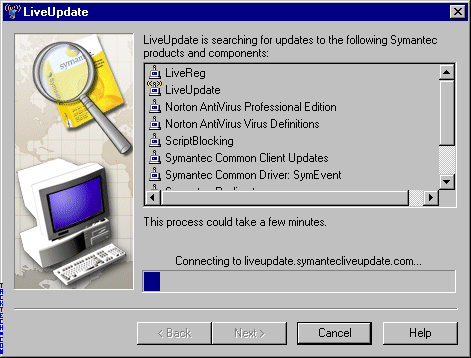 Wait while LiveUpdate searches for updates to your Symantec products. 4.) 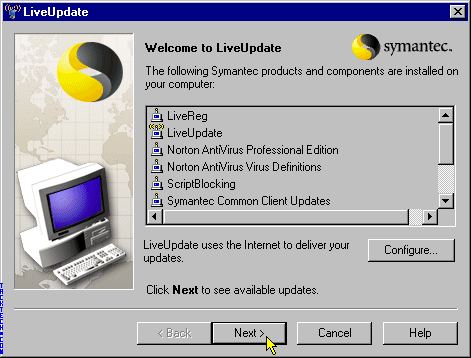 Uncheck any updates you do not want to install. 5.) Click on the Next > button. 6.) 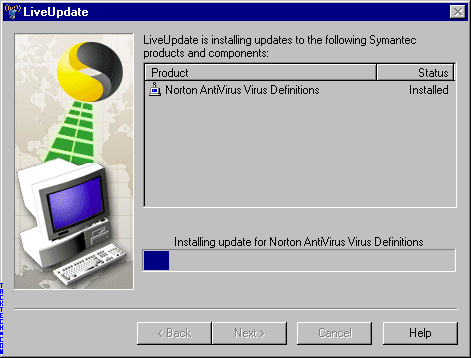 Wait while the updates are downloaded and installed. 7.) Click on the Finish button.